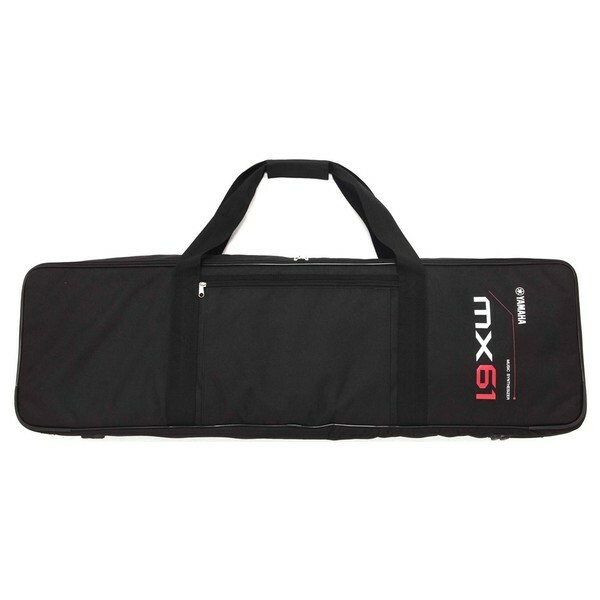 The Yamaha MX61 Synth Soft Bag, Black is a high-quality synthesizer bag designed to accommodate the Yamaha MX61. The Soft Bag is comprised of hard-wearing material, protecting your instrument whilst on the move. The outside of the bag features a zippered pocket, ideal for storing accessories such as cables and power supplies. It features an integrated padded carrying handle for maximum comfort, as well as padded backpack-style shoulder straps for added flexibility. The sleek black colour features the MX61 logo emblazoned on the front of the bag.